By H. P. Albarelli Jr. The CIA, Dallas, and the hard details of the JFK assassination. 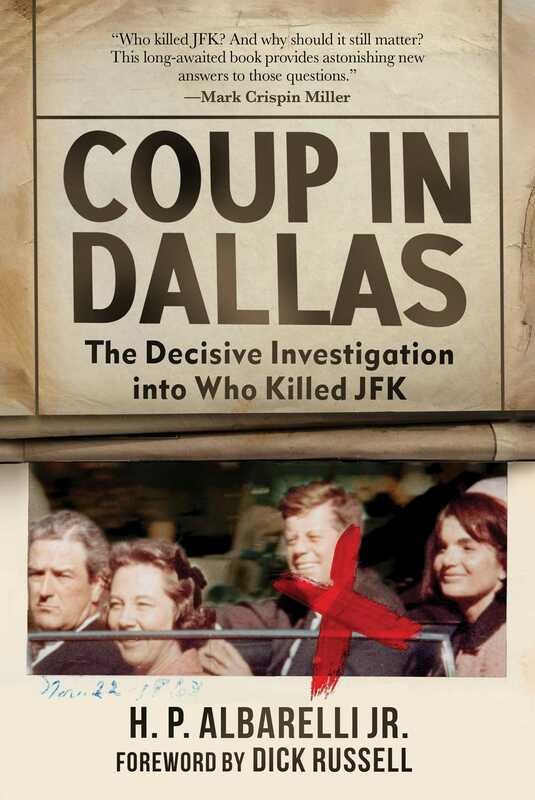 Coup in Dallas leaves speculation and theory aside to give the hard details of who killed President John F. Kennedy, how the murder was carried out, and why Kennedy was assassinated. Through exhaustive research and newly translated documents, author H.P. Albarelli uncovers and explains the historical roots of state-sponsored assassination, finding disturbing parallels to the assassination of JFK. Albarelli goes beyond conventional JKF assassination theory to piece together the biographies of the lesser-known but instrumental players in the incident, such as Otto Skorzeny, Pierre Lafitte, James Jesus Angleton, Santo Trafficante, and others. Albarelli provides shocking detail on the crucial role that the city of Dallas and its officials played in the maintenance of Dallas as a major hub of CIA activity, and how it led to JFK’s assassination and its cover-up. Go beyond LBJ, Lee Harvey Oswald, and Jack Ruby and read the full, definitive account of what happened on November 22, 1963—and how it came to fruition.